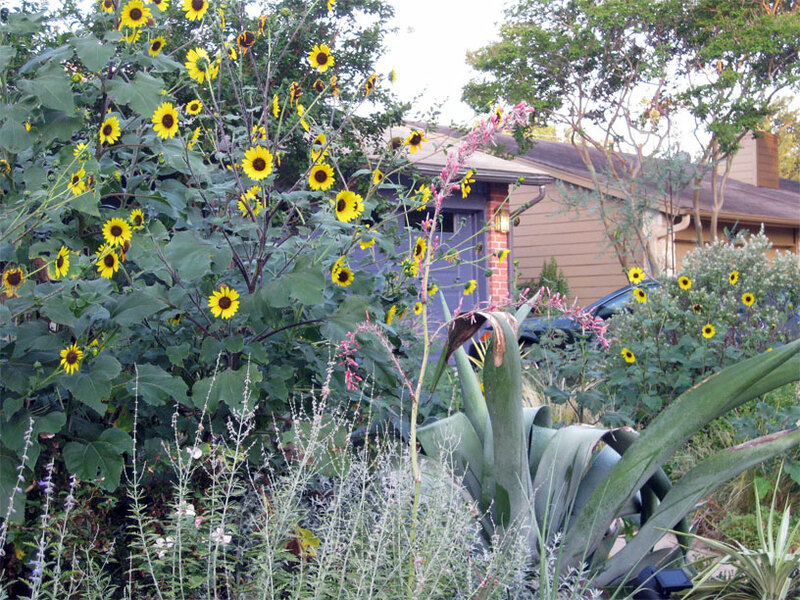 The state of my backyard at this point is pathetic, crispy, and not to be shared, but thanks to the native Texas sunflowers I’ve let run rampant, my front yard is a lovely cheerful place right now. I hereby declare my “flower moat” front bed design a raging success. Thanks to the 7′ sunflowers, you can’t see most of the front porch from the street, which makes the porch a fabulous private place to hang out when it’s not a hundred degrees (say, around 7 AM). 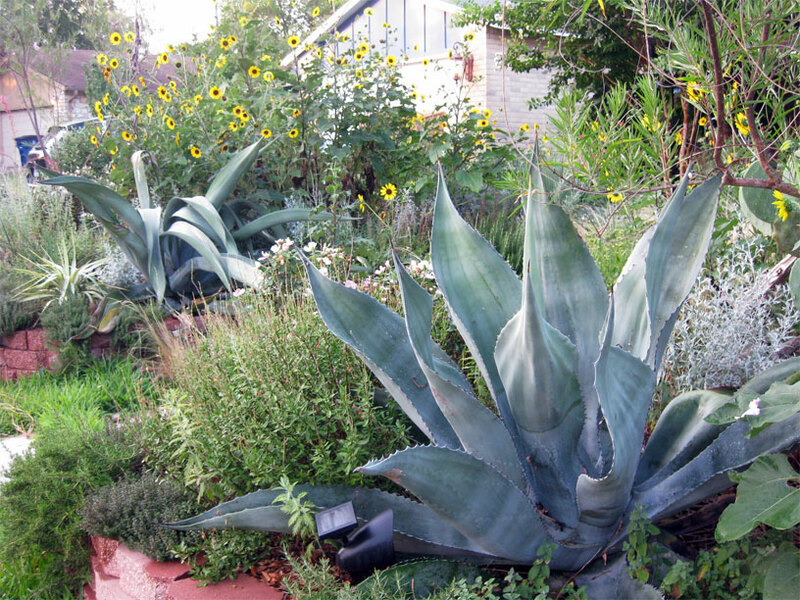 The sunflowers also work fabulously with my low-water cactus, yucca, and agaves. I haven’t watered any of the sunflowers that aren’t coming up in beds with thirstier plants, and they still look great. Hopefully he will find and transfer his obsession to some other house with cat lovers and AC who will cater to his every whim. This entry was posted in Uncategorized and tagged native plants, sunflowers. Bookmark the permalink. My sunflowers are going nuts in my yard too, despite lack of water. They are so cheerful! It looks lovely! And I’m with you, sunflowers right now can’t be beat. The birds thank you, too. 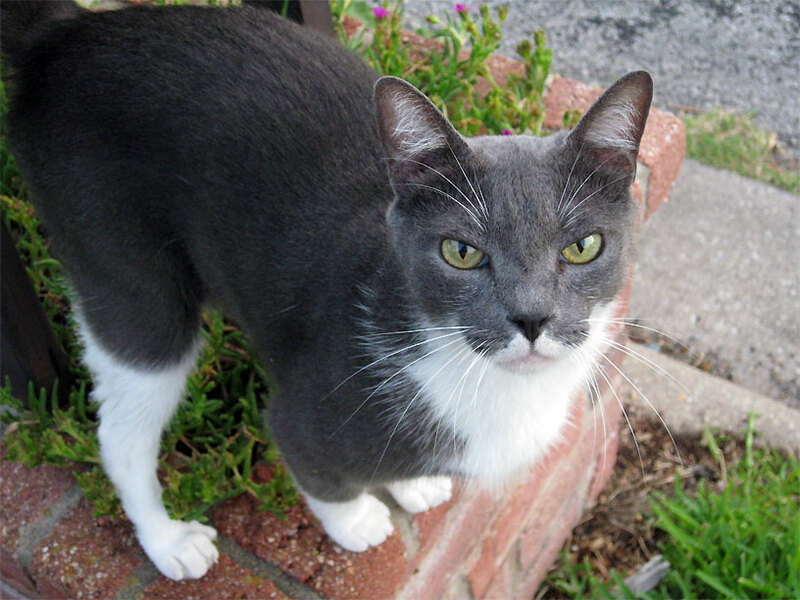 Hmm, Dude Cat sure looks cute and comfy at your house. . . I just love, love, love sunflowers. Your front yard just smiles with sunshine! Wait until you see the sunflower gate I’m building for Texas Natives Nursery. I’ll post on it when I get it installed. It looks good but not as good as your front yard. Oooh, thank you! But I’m sure your sunflower gate looks better than my crispy front yard at this point! Can’t wait for pics! 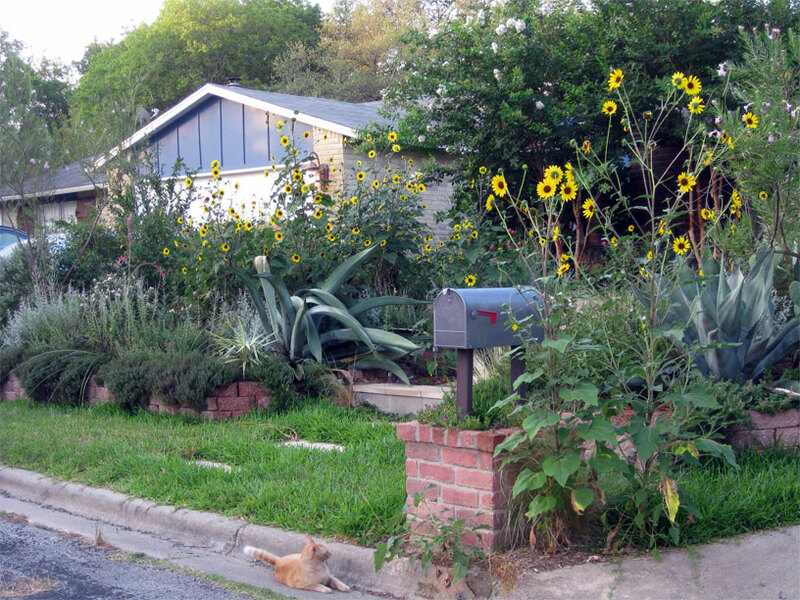 Love the sunflowers, and that they make a lovely, natural screen for the front porch – sweet. And I have to say, Dude looks pretty cute to me…, no, not that way — I don’t want a cat, I think you should let him in … just cool off a little, just once or twice…maybe more…until he worms his way into your heart! Just sayin’!